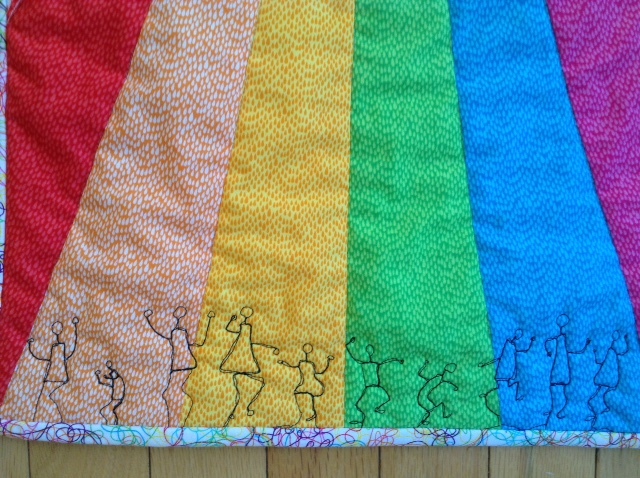 This is a video of the "Water is Life" exhibit which my quilt called "When the Tap is Finally Turned On" is a part of. This exhibit hung at the UN Headquarters in Geneva and the United States Embassy in Rome. It is currently travelling the United States. I am so pleased and honoured to be a part of this. Water is Life - The impact clean water has on the lives of women and girls around the world, was initially installed at the United Nation's Palais des Nations in Geneva, Switzerland, March 21 - April 12, 2016. Since the Italy exhibit, September 3-9, 2016, the exhibit has travelled to the International Quilt Festival in Houston, Texas, where some 60,000 viewers had the opportunity to experience the exhibit. The next venue will be the New England Quilt Museum in Lowell, Mass, February 15 - April, 29, 2017. The exhibit is also due to travel with the Mancuso Quiltfest Shows, beginning in the fall of 2017.